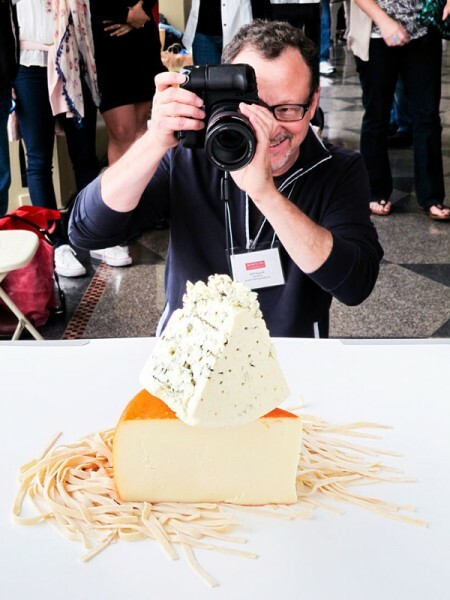 If only I could take photos of grilled cheese as well as this gentleman takes pictures of cheese. Mmmmm. Maybe I just need a professional studio of my own. Anyone willing to donate to make that happen? Not only does the Grilled Goat Cheese Sandwich sound/look delicious, but I give Mr. Talbot a lot of credit for actually making a grilled cheese on a grill (and not burning it). I tried that once and unfortunately, my sandwich ended up on the black (aka burnt) side and the sous chef needed to do some scraping. Maybe I should try it again and follow exactly what Sam does. 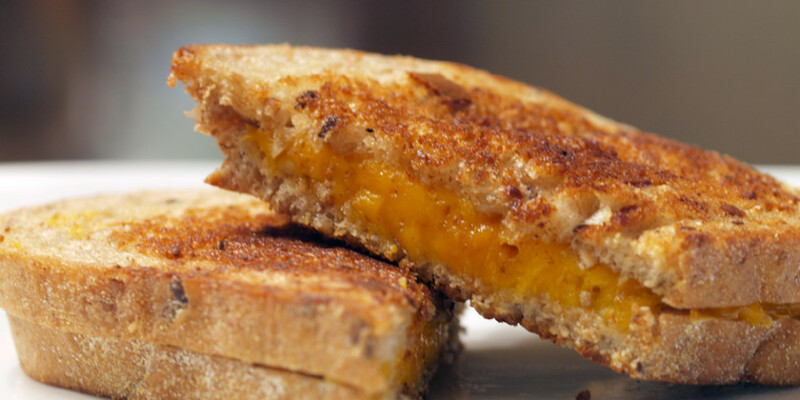 Have you actually grilled a grilled cheese sandwich before? Did you have better luck than me? For anyone that follows restaurants, technology or both (that’s me), this is huge news. As of late, it seems like Google is spending a lot of money on acquisitions, with this one up there near the top. It will be interesting to see how this plays out and if Yelp! adapts or changes at all. When searching for a new restaurant, do online customer reviews influence your decision? With Zagat, we gain a world-class team that has more experience in consumer based-surveys, recommendations and reviews than anyone else in the industry. 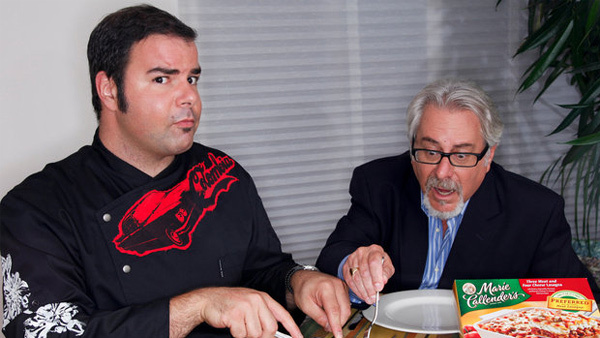 Founded by Tim and Nina Zagat more than 32 years ago, Zagat has established a trusted and well-loved brand the world over, operating in 13 categories and more than 100 cities. 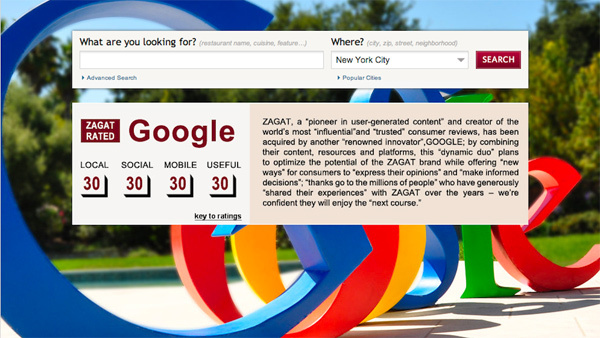 The Zagats have demonstrated their ability to innovate and to do so with tremendous insight. Their surveys may be one of the earliest forms of UGC (user-generated content)-gathering restaurant recommendations from friends, computing and distributing ratings before the Internet as we know it today even existed. I recommend reading the entire article to understand exactly what happened, which was somewhat bizarre. As a food blogger myself, I would feel pretty duped, especially since I am trying to watch how much processed foods I am personally eating. Bait-and-switch definitely applies to this situation and is simply another black eye for ConAgra foods. 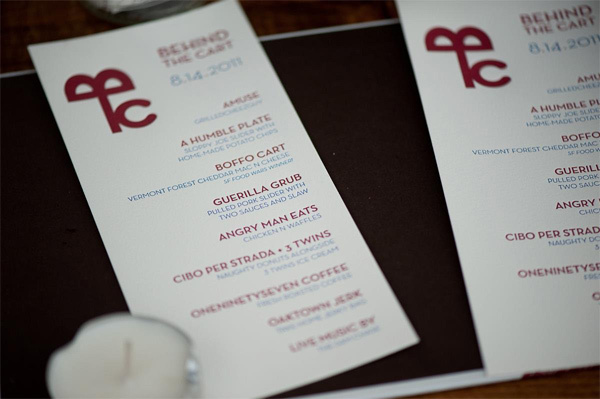 Berkeley BINGO Behind the Cart Brunch! Put on by The GrilledCheezGuy, this event sounds pretty cool and definitely unique. 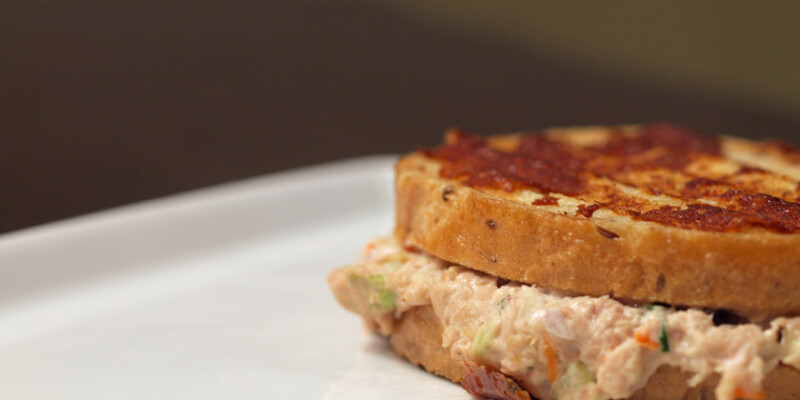 Learn more about The GrilledCheezGuy in a brand new interview over at Food Mafia. There, he explains much more about Behind the Cart and the new Berkeley event. Definitely worth a read.